1. Have you trained a large breed or working breed dog previously? The Anatolian Shepherd is not a dog for a novice. The large size, intelligence, and independence of this breed require a person who is confident around large, potentially aggressive dogs. These dogs are keenly aware of the dominance hierarchy in their pack, and test frequently to determine their rank. Consistent discipline and maintenance of the alpha role is essential for handling this breed. 2. Do you have large acreage with sturdy fencing? The Anatolian Shepherd has been bred to follow grazing flocks. These dogs need daily exercise, preferably running across open spaces, to maintain optimal health. Anatolians will explore areas beyond your property boundaries, particularly if they detect threats. Sturdy fencing materials such as woven wire or chain link are required and must be checked regularly for gaps or breaks. 3. Do you have a job for an Anatolian Shepherd? Anatolian Shepherds are beautiful, impressive dogs, but first and foremost they are working dogs. They need a job to perform, and preferably that job is protecting some form of livestock. They can adapt to the role of family guardians if the family is active and athletic. If you are considering the purchase of a livestock guardian dog, we strongly recommend that you ask every breeder all of the following questions. A livestock guardian dog is a lifetime investment. 1. Are both the sire and dam purebred registered dogs of a recognized livestock guardian breed? White Mountains Ranch Answer: Yes, our sires is a purebred, AKC-registered Anatolian Shepherd. Our female is puerbred but not AKC registered, though both her parents are. 2. What type and how many head of livestock do your dogs guard? White Mountains Ranch Answer: Horses, 50+ Nubian Goats, several hundred poultry, and rabbits. 3. Do your dogs live with the livestock full-time, or do they rotate time in runs/kennels/house? White Mountains Ranch Answer: Our dogs live full-time in the pastures and barns with the livestock. They do not stay in the house or in kennels or runs. 4. How many acres of property do your dogs protect? White Mountains Ranch Answer: Main Pasture & Barn 8 acres, entire property 12 acres, primarily San Diego Native Chaparral. 5. What species of predator are active on or adjacent to your property? White Mountains Ranch Answer: Coyote, mountain lion, bobcat, raccoon, skunk, humans and domestic dogs. 6. May I visit the ranch and observe your dogs at work? White Mountains Ranch Answer: Yes, visitors are welcome to meet and observe our dogs on the job. 7. Are the parents evaluated for hereditary defects that might affect health? White Mountains Ranch Answer: Yes, in progress. Our dogs will have both their hips and elbows x-rayed and evaluated by the Orthopedic Foundation for Animals for hip and elbow dysplasia. Both parents in the sire's side have been OFA tested as well. We analyze pedigrees to rule out seizure disorders, hypothyroidism, and dermatological conditions to the best of our ability. 8. Do you offer a health guarantee on your Anatolian Shepherd puppies? White Mountains Ranch Answer: Yes, if a health problem is detected at the buyer's vet exam, within three days of purchase the buyer will be offered a full refund and the pup can be brought back. If a health problem with a genetic basis develops within the first two years of the dog's lifetime, the buyer will be offered a replacement Anatolian Shepherd puppy. 9. Do you temperament test your puppies before placement? 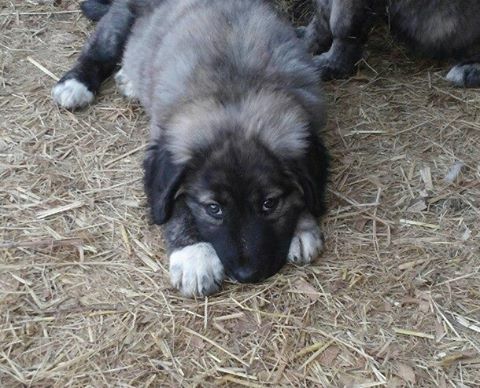 White Mountains Ranch Answer: Yes, we evaluate the temperament of our Anatolian Shepherd puppies prior to making final decisions about placement. This allows an appropriate match between the dog, the type of work, and the new owner and family. 10. Will you accept back a dog you have sold, if I am unable to keep it? White Mountains Ranch Answer: Yes, if your circumstances change and you are unable to keep one of our dogs, we will help find an appropriate home or we will take the dog back at our ranch.